When you’re working with a company — such as Homes By Guardian — together, you’re planning and building a new home, and tackling this endeavor is both a unique and exciting time! 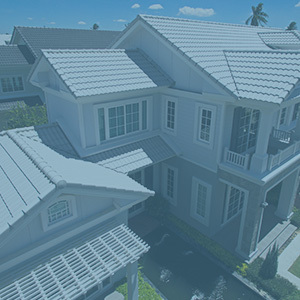 Buying a newly built home is a different experience than buying a previously owned home. You don’t have to deal with sellers that are attached to a garden they tended to for 20 years or the horse barn the whole family built together. As beautiful as these memories are, the sellers like to keep them close and tend to drive up the home price based on the sentimental moments. With Homes By Guardian, you will only have to make arrangements with builder! A perk to buying newly constructed home is that everything is new and untouched — it’s ready for you to create the memories. You can buy a new home and customize it to what fits best within your budget and needs. A semi-custom house where you can choose finishes and upgrades. A fully customized new home built to your exact specifications. How do I choose a new home? When you decide to build a new home, you have to weigh the pros and cons. New neighborhoods have yet to mature, so they’re generally father from the heart of the city. It’s also important to research the builders. In certain regions in the US, growth is expanding faster than new homes, so companies are popping up, building shoddy homes, and then fleeing to the next destination. The homes begin to acquire damage only months after, as a result of poor-quality construction. You may consider researching the builder on Better Business Bureau to check for complaints from homeowners, or a local real estate agent to get their take on the building company. At Homes By Guardian, this isn’t the case. We have built a reputation for beautiful, high-quality homes in the Cheyenne area. We have experience in building every type of home including entry-level, single family homes and high-end custom homes. It’s also wise to research the neighborhood as well, to see the community in person and observe the amenities that are available. You could even walk the neighborhood and feel it out. Are people out and about, interacting with each other? You could even ask someone about their experiences. Ask them about the HOA and what services are available in the neighborhood (cable and internet). If the community has a model home, ask to take a tour of it. While you’re there, ask about future developments and if the development is still under construction. So, before you start fantasizing about stainless steel appliances and crown molding, take a moment to ponder these hidden gems when building a new home. A perk about the communities being built by Homes By Guardian is there is plenty of space, but the city planning of Cheyenne never leaves you far from civilization — like the grocery store and the gym! 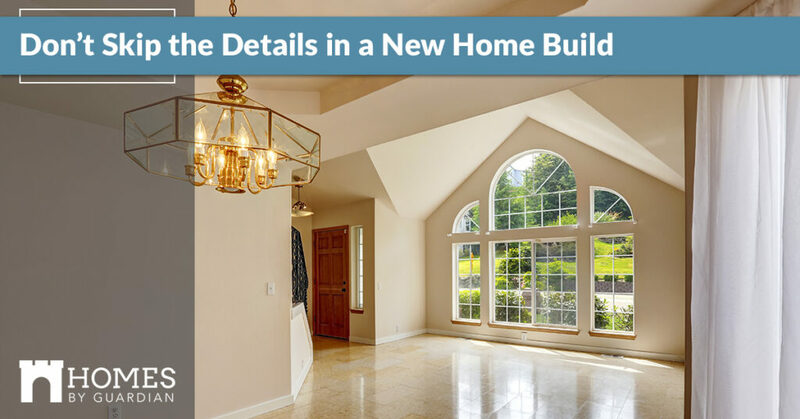 There are so many components when you’re buying a new home, so be sure you take moment and to consider the details. If you’re not sure where to begin, ask around. Talk with family members or real estate agents to get their input. Oftentimes, this information comes from something they themselves did not think of, and it caused an annoyance! Also, consider what you can put up with. Are you okay with small trees that haven’t matured yet or, homes with a fluid yard (no fences)? Think about the little things, and what kind of experience you want in the neighborhood you live in! Consider the orientation – Since Cheyenne gets its fair share of snow and wind, considering the new home’s orientation will be helpful in inclement weather conditions. A southern-facing home is ideal for colder winter conditions. Not only will you receive the most solar warmth, but a southern-facing house will help to melt snow and ice. Take a field trip and find a north-facing house in the winter. You’ll notice that it’s extremely shady, icy, and snowy, while the house across the street is sunny and dry! The takeaway of a southern-facing house is less shoveling and more warmth! Think spatially – Observe where your potential new home is situated. One of the most optimal places to buy a new home is on a corner lot, as you only have people on one side of you. As long as the corner lot is towards the back and far from heavy traffic, this space is ideal. You may also want to note what your house backs up to. Is there open space and trail access? Or, is it a loud, busy street? If the lot is vacant behind your lot, inquire what it is zoned to be, as a couple undesirable things could occur. The vacant lot could be zoned for business, which would bring a lot of traffic, or they could be building apartments or larger homes that could affect your view. It’s also important to note that, if you’re considering a ranch style home and they’re building larger homes beside or behind you, those people can peer right into your home! The last thing you may want to avoid is a sloped lot. These can look great when they’re beautifully landscaped, but that can be expensive and require a great deal of upkeep. It also affects how you, your family, and your pets can use the yard. Get a survey of the property – Whether or not your community is still being built, it’s important to have a hard copy of property lines. Because yards are sometimes close together, this could resolve any questions you may have when you’re landscaping and wanting to put it a corner, deciduous tree. This is also important when it comes to property taxes, since they’re based on how much property you own — having an accurate map will give you a clear picture and bypass any property tax surprises. Fall in love, but only a little – Don’t make bad financial decisions by falling in love with a house or lot and doing whatever it takes to buy it. A home is a huge investment, so date around a little before you make the commitment to marry! Be a stalker (but only the neighborhood kind!) – If the community you’re planning to buy has occupants, stalk the neighborhood before you commit to your new home. Stop in the morning, at noon, and in the nighttime. If you have the time, also stop by on the weekend. Sit out by your potential home and notice if there are unfavorable scenarios. Are the neighbors overly loud? Are the neighbors smokers, and where do they smoke? Are the surrounding homes following the HOA guidelines? Are there any odd smells emitting from the homes (food, chemicals, pungent cleaners, etc.)? Are the neighbors overall pleasant? You now have a list of things to look for when you begin your new home search! The details are important and can make or break how you experience life in your new community! At Homes By Guardian, we want to make your new home buying experience a positive one. Our communities are built to foster neighborhood relationships and a place to set roots! Connect with us today about our new homes!